If you're reading this already, you are one of the hopefully few people that needs to read this. Internet articles and blog posts are a newer way for people prone to procrastinate to excel at wasting their time. I recently read an "article" about 40 things men over 40 should no longer say, and I quickly realized it was a complete waste of time. While it did stimulate thoughts and contribute commentary to a few pseudointellectual discussions and help pass the time spent on the toilet, it did little to actually improve my life. That is the case with 90% of the things you can read on the internet. Before writing this blog post, I saw an article on how to stop procrastinating. Instead of clicking on the link, I simply answered the question for myself and found my answer just as helpful as anything I might find in the article. The answer was, in part, not read the damn article. In the time I could be reading someone's possibly well expressed thoughts on how to stop procrastinating, I can write my own quick article and at least feel like I was productive. Similarly, rather than reading this blog post you could be getting a workout in, cleaning the house, planting a garden, reading a book to your child, or doing work for your job. Life is a series of precious moments that don't deserve to be wasted. 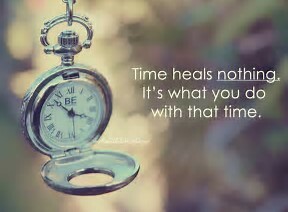 You can't get the time back. If you get into the habit of clicking and reading every catchy headline, you could be wasting a lot of your life consuming information that does next to nothing to enrich your life.